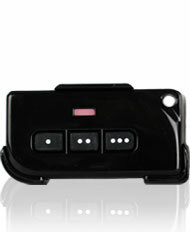 Simply replace or put this Skylink Receiver in parallel with your original wall console. 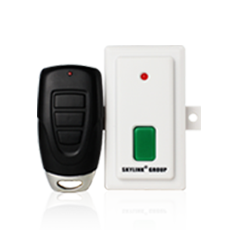 The Smart Button controls the garage door by receiving open and close signals from the programmed remote controls. 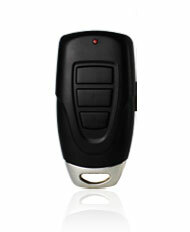 Program up to 15-remote controls to each Smart Button Receiver. 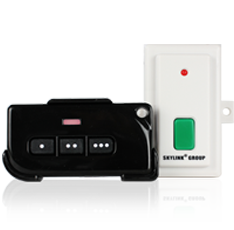 Simply connect the Smart Button to the wires coming from your original wall console. 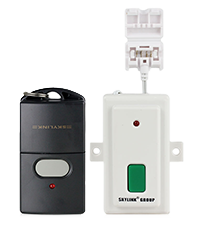 The Smart Button is compatible with most national garage door openers on the market today. 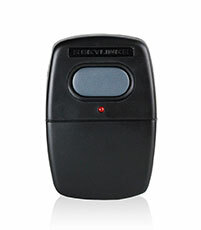 Program up to 16-Remote Controls. 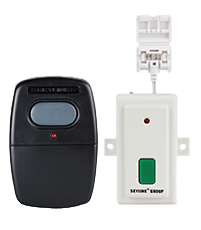 For most garage door openers, no additional AC adaptor is required. 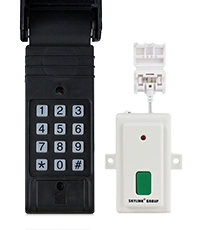 Enable the Passcode Protection by programming a code to open and close your garage door. 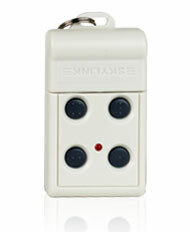 This is an additional level of security in events such as lost or stolen remotes. 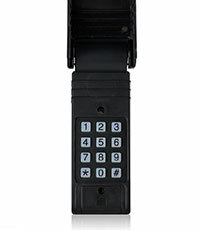 The password can be a 2-8 digit combition using the 3-button as 1-2-3. Almost 10,000 potential combinations.